Filmmaker/author John Waters — who guest curated the Walker’s Absentee Landlord exhibition — was recently invited to San Francisco where he extended his curatorial prowess to a new Reading Shop in the city’s Mission district. The shop is part of Kadist SF (counterpart to Kadist Art Foundation based in Paris, France)—a mixed-use 1,400 square foot nonprofit art space on the corner of Folsom and 20th. Since last March when Kadist SF opened it quickly became popular in the local art scene for its flexible, laid-back, and definitely riveting program of exhibitions, events, artist/art magazine residencies, and, notably its reading room. The room would open Saturdays 11 am to 5 pm, inviting visitors to come by and check out more than 100 international art magazines not often available elsewhere. The visibility of these imports brought the public nearer to critical dialogues on art happening from Vancouver to Tel Aviv, and for the most part pretty far beyond the main distribution channels of arts discourse. This month, in response to the Reading Room’s steady increase of visitors, Kadist SF expanded it into the Reading Shop—a reading room/bookshop. It not only stocks art magazines but also highlights independent publishers, and invites notable cultural producers to curate selections from their personal libraries. Waters was the first guest. He was given free hand to compose a list that includes novels such as David Gates’ Jernigan and Patrick White’s Voss, Jean Genet’s biography by Edmund White, and several writings by Waters’ himself (some of which you’ll find in stock at the Walker Art Center shop, too). The books bring new insight into the ways in which fiction has influenced the filmmaker’s work. Brooke: What is the story behind the Kadist Shop? Why did it open, what’s stocked, who does it serve? 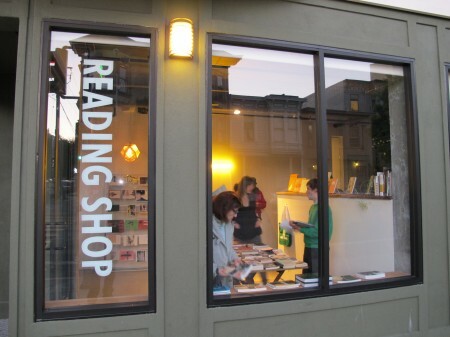 Devon: The Reading Shop launched on the premise, and expansion of, Kadist’s Reading Room. It is a hybrid of a store and a library. 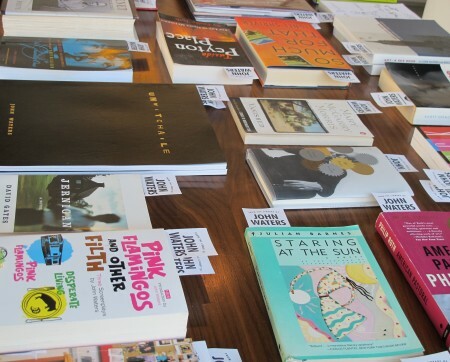 As a program, the Reading Shop loosely addresses the current state of publishing, but in the most expansive and speculative sense — by making available selected art books and international magazines, creating space for public use, and responding to interested readers. It borrows various conditions from bookstores and libraries, and expands on them in order to heighten the culture of art publishing locally. The Shop comprises a rotating selection of magazines and books – two racks of international art periodicals, one shelf dedicated to publications from an independent art publisher, and a table full of books culled from a personal library. All of the magazines hanging on the racks for the past few weeks are far too many to mention (I only order one copy per magazine), but in collection they represent an expansive view of contemporary practices in art publishing internationally. They include: Pages (Rotterdam and Tehran), It’s Nice That (London), Picnic (Tel Aviv), No Order (Milan), Graphic (Seoul), Fillip (Vancouver). This season we also opened with a survey of J&L Books, a small art press founded in 2000 by artists Jason Fulford and Leanne Shapton, alongside the library of filmmaker and artist John Waters. In San Francisco, there are very few resources to peruse art publications from other countries, with only a small handful of art distributors circulating magazines for the entire US. Yet during the last decade, English has informally become a trade language of the international art world, so dozens of magazines from Europe and Asia that once printed in their local language were made increasingly legible for US readers. All this to say, the Reading Shop is an endeavor to intensify local art discourse by making known, and disseminating artistic and cultural perspectives from other city centers, from Seoul to Tel Aviv to Rotterdam, because each magazine produces, and is produced within, a context, and the experience of browsing and discovery has so much potential for cross-pollination. Brooke: Could you talk a bit about the titles? How are they selected? Devon: For each title, I always like to explore the visual characteristics, the editorial voice, and its seriality. I’m interested in how a publication date is also punctuation of time, and for magazines, in particular, how they evolve, or dissolve, from one issue to the next. Some of my favorite magazines over the last five years are no longer in circulation, and I find this impermanence really thrilling in the case it germinates further titles and new networks of producers, writers, etc. 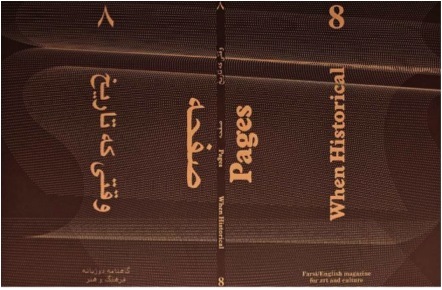 Pages is a bilingual English and Farsi- magazine started in 2004 by artists Nasrin Tabatabai and Babak Afrassiabi, both Iranian-born conceptual artists based in the Netherlands. Pages publishes roughly twice-yearly with ruminations on Iranian art, culture, architecture, theater, history, and politics. It functions as a platform for dialogue between artists and writers from Iran and elsewhere, and in the process conveys a complex understanding of the region, a realm that remains primarily uncharted territory for mainstream media outlets. Brooke: How does Selections from the Library of John Waters jibe with programming currently at Kadist (if it does)? Devon: The library, as it operates within the context of the Reading Shop, is a lateral, programmatic shoot, with John’s library formalizing his various roles as a writer, filmmaker, artist, collector, and storyteller. 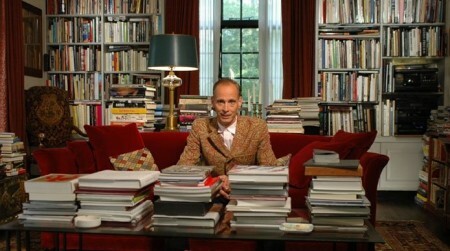 Waters is the ultimate bibliophile, and I wanted to show the books he has read over a lifetime; it is an elaborate index of pulp, subversion, and bravura, where the substance of each title and the life of John Waters are intricately woven together, inhabiting a reflective, interior space of John himself. In comparison, I wonder if his exhibition at the Walker now also inhabits this kind of space, as it uses the very same formula. In a way, yes. In the Walker’s parallel gesture of inviting Waters’ private art collection and his own artistic work to be thoughtfully positioned in public space, there’s this intimate look into the construction of a consciousness (some sliver of it). Inevitably the checklist and layout lends insight to Waters’ influences, affections, politics, and jokes. But while the exhibition may expose, somewhat indexically too, this interior mind space, I think there’s a lot of intrigue in the way curating becomes a provocative art form for Waters. 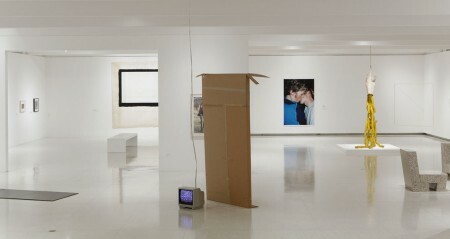 The exhibition is imbued with his filmic language and contemporary art world critique. Walking through the galleries, you do find yourself, like Devon said, in this new fantastic context where John Waters the filmmaker, the writer, the artist, the collector, and the storyteller intersect. I’d like to know more of the visitors’ perception of what it was like to come to the Walker and experience this artist/curator sensibility. It’s so important to grant space for artists’ curatorial expressions, especially as the notion of curator is so radically changing, and it’s totally wonderful that Kadist SF is doing that.